Apple spokesman Tom Neumayr told Re/code that reports of the death of iTunes downloads were greatly exaggerated, simply saying, "Not true." Earlier today, a questionable report from Digital Music News, citing sources "close and active business relationships with Apple," said an end to iTunes downloads was no longer a matter of if, but when. Highly suspect, the report offered two separate timelines for Apple's seismic strategy shift, one with a termination date "within two years," and another dating out to "the next 3-4 years, maybe longer." Neumayr said both timelines are false, but would not comment further. A number of outlets circulated the spurious report. 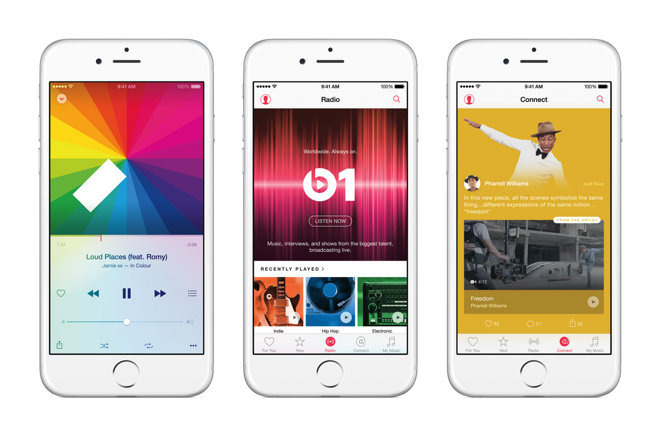 Apple arguably popularized the digital music industry with iTunes and iPod, and has reaped the rewards for years. Digital downloads are the foundation of iTunes' business model, one Apple is unlikely to abandon anytime soon. The company is, however, following industry trends and last year launched a subscription-based streaming music service in Apple Music. Initial uptake is promising, and streaming is quickly catching on, but music downloads is still a huge segment for Apple. In the near term, the company is more likely to leverage Apple Music as a sales booster instead of switching formats altogether. Drake's recent release, "Views," is a prime example. The album ran as an Apple Music exclusive for one week and in that time racked up well over one million download sales.